Whether you would like to teach yoga or deepen your practice, our program will help you reach your goal. Students who successfully fulfill the requirements of the yoga teacher training program will receive a certificate of completion. IPY is a registered school with the Yoga Alliance at the 200 Hour level, and upon successful completion of our program, participants may contact the Yoga Alliance for registry. Our next 200 hour Yoga Teacher Training is starting in Fall 2019! If you would like more information, please send Ursula a note! The Teacher Training at Inner Power Yoga is so often described as a journey, and it truly is one, taking you through all facets of the practice of yoga. Ursula cultivates a deep appreciation and respect for the broader practice of yoga – the curriculum brought relevancy to the underlying philosophy, history, and language (Sanskrit) of yoga; it expanded my understanding of the physical practice, including alignment and anatomy, modifications, and assists; and it gave me hands-on experience and accessible tools to teach and to share with others something that has given me so much. Ursula is an inspiration to learn by – one would be hard-pressed to find a more compassionate and insightful mentor and teacher. “Having recently participated in the 2015/2016 Teacher Training Program at Inner Power Yoga, I feel myself blessed to have been a participant. I stepped through one doorway when I decided to pursue my interest in yoga at IPY. Now many more doors are opening as a result of that decision. It’s a wonderful feeling to seek knowledge about a subject and then realize that each discovery and accomplishment will open new possible avenues in the quest for enlightenment. From the very outset, Ursula encouraged us to express our feelings verbally and in writing through the assignments she gave us. In the process, we were each given the opportunity to understand and fully embrace the idea that the ancient and historical yogic principles can be experienced and fulfilled in the way we view the past, live our lives, and teach our own students. A sense of confidence based on a deeper understanding of yoga and of self emerges in the process. Many of the other testimonials speak to the wonderful and supportive environment Ursula has created and nurtured, both in the teacher training program and in the studio itself. I agree unreservedly. The program was comprehensive, the guest lecturers were entertaining and enlightening, and the staff at IPY assisted us with any of our questions or concerns. Having said all that, it’s the depth of skill, knowledge, sense of humor, experience, intelligence, professionalism, and compassion that Ursula brings to the process that sets IPY’s program apart. “I came to IPY in the second week of shifting to America in 2015. Virginia was new to me, and I did not have any family and friends here. I decided to pay IPY a visit as I wanted to practice yoga. From the moment I stepped in the studio I got a sense of belonging. The warm and friendly atmosphere made me a regular member of IPY which in turn helped me settle in, both mentally and physically. Since then IPY has become my second home. I had always wanted to do TT and when I got to know that IPY was offering it, I immediately applied. I am so glad I took that decision. The course has been one of the best experiences of my life. I not only got to meet like minded people but had the honor of studying from the best faculty. Ursula made sure that it was a safe place where we could all trust each other and open up easily. The content of the course was very thorough. We got to learn so much including anatomy, yin yoga, restorative yoga, business of yoga etc. The best part was that the course was spread over six months which made us learn and understand concepts thoroughly rather than cram up everything. Do I want to “share” this (yoga) experience that has been my solace and place of peace since 1997? I CANNOT possibly speak in public (ie. teach), especially about something where everyone will totally be listening to every word. I’m not in my best physical shape right now – or even remotely close – how can I get out in front of everyone in tight yoga clothes?! I’m changing careers; now is not a good time. I found out about half way through TT that I had a female-related type of cancer that required surgery. I had the surgery the day after Thanksgiving and 10 days later was back at TT. While I was SO exhausted and even very nauseous at times, Ursula encouraged me to take care of myself and to let her know if I needed more time for recovery; we could make this time up later. But the thought of missing a weekend of TT was just completely out of the question in my mind. I was learning so much! And more importantly outpouring of love and support from Ursula, my fellow TTs and the IPY teachers was *exactly* what I needed at such a trying time. Physically, it was the most difficult time something like this could have happened. Emotionally, there was no better place to be than with my friends at IPY TT. “Completing the TT at IPY under the direction of Ursula Cox undoubtedly belongs in the short list of best decisions I have ever made. Ursula sets her students up for success from day one. She gently brings each student out of their comfort zone by having them practice teach the first weekend. This approach helped build confidence, knowledge, support and comfort throughout the progression of the sequence and the training entirely. My feelings of initial intimidation quickly subsided and I felt embraced by the welcoming and open atmosphere Ursula had created for us. I wasn’t really sure what I was looking for when I entered the teaching program. I knew I wanted to deepen my practice since I was so new to yoga, but what I found was so much more than that. The lessons of mindfulness, acceptance, forgiveness and balance have taken new meaning in my life on and off my mat since I began this training. Not knowing a soul coming into the program, I recognized the support and love in this close-knit group instantly as we quickly became a family. That love and passion Ursula has for this training and her trainees permeated and carried on from weekend to weekend. Ursula provided a vast and thorough framework for the endless information there is to know about one’s yoga journey and the philosophy itself. She shared from her personal experiences and teachings, as well as brought other experts in to dive deeper into subjects such as anatomy, yin yoga, Sanskrit and many others to help understand the scope of yoga and help our teaching/practice. 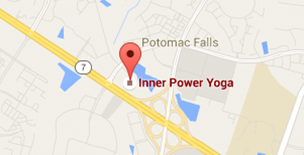 “The Inner Power Yoga Teacher Training was more than I could have ever dreamed or imagined. I’ve loved and practiced yoga for such a long time, but never realized how much passion I had for it until taking this life-changing journey with Ursula and exploring special topics with wonderful guest teachers who were hand-selected by her. I was drawn to the program because although I thought that “one day” I’d like to teach yoga, I didn’t want to take training just anywhere — I wanted to learn from Ursula Cox. I have seen first hand, as a student, how, with her warmth and care, she has made IPY such a warm and inviting place to practice and grow, so I assumed that teacher training with her would be the right move. I was blown away by how amazing and inspiring this journey became. The depth of the topics, the camaraderie built among the trainees, and the encouraging way she helped transform us from thinking like students to becoming teachers has prepared each and every one of us for whatever our next steps may be. I learned yoga history going back to Krishnamacharya, the 8 limbs, branches of yoga, styles, pranayama, meditation, yoga anatomy, yogic living, Nidra, Sutras, the business of yoga and so much more. Ursula created a safe and caring environment for all of us to share our experiences, and the incredible people that I met (and now consider my “yoga TT family”) were super supportive, making the 6-month journey so much fun! And, of course, I will forever be grateful for the skills, courage and confidence that I’ve learned through rigorous, yet supportive practice teaching sessions (and we did it from the very beginning!). Because we did so much of it and had lots of feedback, we know how to properly guide, align, assist and perform some adjustments! “The Yoga TT was a holistic learning experience for me. It not only covered how to teach the physical practice of yoga by covering sequence, alignment and cues but also the history and foundation of Yoga as a science and a timeless tradition. The training involved many workshops conducted by subject matter experts covering anatomy of yoga, subtle energies, prayanama, meditation, yin yoga, nidra yoga, Sanskrit for yoga and the business of yoga. I was not very comfortable speaking in front of a large audience before the training. Ursula reinforced practice teaching after every sequence that was covered in class. This practice boosted my confidence to teach yoga, something I had not considered when I embarked on this journey. Ursula created a very warm and nurturing environment for us trainees to learn and thrive during the entire training period and she continues to support us. IPY’s yoga teacher training is a very powerful program masterfully delivered and equips a yoga student with the perfect amount of knowledge. “I had a strong desire to learn more about yoga and to grow in my own practice but in no way did I plan on teaching. I am, by nature, an introvert and my personality certainly did not accommodate getting up in front of groups of people let alone teaching them how to do something. One of the first things we learned during our training was that there are no absolutes in yoga. I quickly began to realize that no matter what our personality types are, no matter what we think our limitations might be, we are all teachers. During my training I learned about so many different types of yoga and so many different ways that yoga can help us. I started to notice that I was drawn towards specific aspects of yoga. I began to see myself teaching others about what I was learning. “When I signed up for teacher training at Inner Power Yoga, I wasn’t entirely sure what to expect. I knew I wanted to deepen my own practice and learn how to safely teach others. The program met both of those goals and so much more. Ursula has designed an in-depth curriculum, covering important topics such as yoga history and philosophy, anatomy and proper alignment, ethics of teaching, and business basics. We began practice teaching from the first weekend, gradually gaining the confidence and knowledge to teach a full vinyasa practice. Beyond these basics, the program explored topics such as meditation, pranayama and yoga nidra, as well as various styles of asana, including Ashtanga, restorative and yin yoga. Perhaps most importantly, Ursula has created a supportive environment where you are encouraged to find your own authentic voice. “When I first started at IPY, I was vaguely interested in doing a TT, and when I found out that IPY offered a program, I suddenly really wanted to do it! At the start, I wasn’t interested in teaching, but by the end, I was excited (still scared, though) about the prospect. Ursula’s emphasize on practice teaching helped immensely; I cant imagine having to go and put yourself out there to teach a class as a new teacher without that kind of an experience! Its so helpful to get to practice teach with your fellow trainees, as well, because they can give you useful and honest feedback. The TT program isn’t just about practice teaching, of course; Ursula brings in a number of experienced teachers and other excellent professionals to teach on various subjects, like anatomy, adjusting, mental aspects of yoga, and so on, and Ursula herself spent a huge amount of time teaching us and making sure that we all understood what we studied, from philosophical aspects to asana alignment. “This training was extraordinary! I learned so much from Ursula and from the other guest teachers, I met phenomenal people, and I feel ready to teach yoga. Although the early weekends were sometimes slightly nerve racking–we were slated to partner teach in our second weekend together– I realized immediately how important this was and it is, in fact, a huge strength of IPY’s training structure and curriculum. “I had been doing yoga for a few years, but I did not find my yoga home until I discovered inner Power Yoga. The studio is serene and inclusive with some of the best teachers I have ever taken a yoga class with. With Ursula’s encouragement, I enrolled in IPY’s Yoga Teacher Training program and found it to be one of the most meaningful and rewarding experiences I have ever done. This training is phenomenal! I loved knowing that I was going to learn something new each weekend. When I graduated, I walked away prepared to teach a yoga class, and with a deeper knowledge of the history, foundations, and philosophy of yoga. Not only did I broaden my yoga practice, but I personally grew in so many ways I did not foresee. Who would have ever thought that I would willingly stand in front of a group of 20 students and led them through a yoga practice!? “When I first stepped into the yoga teacher training program at Inner Power Yoga, led by Ursula Cox, it was a lot like the first time I stepped into the studio to practice. I was nervous, wondering if I would like it, hoping I would. And when I walked out the door the first day, I felt the same as I did when I sat on my mat after my first practice at IPY: relieved and excited in knowing this is one of the best things I have ever done. The training curriculum Ursula has created manages to weave together an impressively wide variety of subjects, you will cover everything: alignment, anatomy, subtle energy, the history of yoga, business, ethics, and so much more. Everything we learned feels important, and when you finish training, you will have amassed a base of knowledge and confidence in your ability to teach a yoga class that is very rewarding. “I personally entered the teacher training program without knowing much of what to expect. I like many of the trainees had apprehension about if I was “good enough” or knew enough to participate, if I had enough time, if it was the right time and would I succeed. These apprehensions melted away in the first few sessions. Ursula does an outstanding job of selecting the trainees so the group is diverse, compassionate and truly supportive. I most enjoyed the diversity of the curriculum. We had the opportunity to participate in multiple workshops and the topics we covered ranged from anatomy, dharma yoga, meditation, Ashtanga, yin and on and on. It was really exciting to have a program that wasn’t narrowly focused on one kind of yoga. We immediately started teaching from the second weekend. This was helpful in getting everyone off the ground. We had the opportunity to grow and learn a lot about how to teach by getting regular experience teaching throughout the sessions. This really helped to alleviate the initial nerves and allowed people to get comfortable with the rhythm of teaching. Ursula brings a deep knowledge about many different facets of yoga and provides an environment for you to learn how to be more than a teacher, but an exceptional, safe and ethical teacher. This program provides the tools and foundation to understand the many facets of teaching outside of just learning a sequence and how to lead a group in a set of poses. We had outstanding and exceptional guest teachers that provided additional meaningful relationship and knowledge to the program. “I came into yoga teacher training with very little in terms of expectations, other than fretting that I would be surrounded by ethereal yogis and yoginis with decades of experience under their belts while I would just be the non-contributing kid in the background. I think we all had that fear at first! Fortunately, Ursula with her expertise, kindness and patience helped navigate us through the history, practice and spirit of yoga while putting our minds at ease and encouraging us along the path. From the very beginning, we were practice-teaching with our peers, learning the basics of anatomy, studying the Yoga Sutras and so much more. This 200 hour course provided me with the tools to learn and teach yoga, while driving my desire to commit to my own physical practice, teaching and studies. ” With just a few keystrokes on the Internet one can find many yoga studios that offer both yoga classes and teacher training programs. Teacher training itself is fairly standardized — a teacher must incorporate into his or her program a certain amount of training hours in some educational categories. Several months pass by and a dedicated student can walk away with a Certificate of Completion. What makes every teacher training different and at the same time unique is a teacher. Ursula Cox is a very special person that takes a very important place in my heart. Ursula is more than just a mentor; she is genuinely passionate about what she does, she sincerely cares and it is so rare to be taken care of by someone. Intuitively Ursula is able to find the best approach towards every person who walks into her studio and is able to connect with them with what is important to their search into the journey of yoga. Ursula is very inspiring – she sets a perfect example of beauty and happiness, of fulfillment in life and all of her aura is almost contagious in a good way. Just by being closer to such an easy-going, warm, open-hearted, kind person you inevitably become better. And the same words one can say about the other team members at IPY who really helped me along this journey. Ursula’s teacher training program is well thought out, organized and very informative – she chose the best from the best. It was such a pleasure to have an opportunity to be introduced and connected to some other alike teachers through various workshops held during the training. They all gladly shared their knowledge and experience from their perspective. Through intensive practice of yoga and training with Ursula I learned how to gain control over my emotions and thoughts, I learned how to bring myself from distraction to direction, how to find harmony in the chaos, how to find balance when needed, and finally how to breath – yes, to breath; I learned to appreciate the present moment, the “now” moment – truly what matters, let go of any and all expectations, how to not complicate things and choose simplicity in life. With the help of Ursula who has keen sensitivity to an individual’s needs and abilities I was able to start believing in myself again, gain confidence and realize that the power is within, that I am the wizard of my happiness. I became more conscious and aware of myself and those around me; I learned how to listen but hear, how to look but find and see. It is all as if I have passed the salient point and now it is a new beginning that is imminent and only more do I look forward to continuing the journey.…In the most simplest of conclusions – I would have never met an amazing group of 22 people, the souls with common values, passions and interests. There is something special in what we have built; throughout the months we shared our lives, ourselves, we shared love, compassion and understanding; we’ve found an extraordinary connection that will never fade away. All this would be impossible but for Ursula who created a safe, welcoming, comforting, and supportive environment during the training sessions. It is not an exaggeration to say the IPY became my second home, every minute I spend here I feel happy and calm, like nowhere else, and the more I surround myself with such a positive energy, the more positive energy I have to carry on and off the mat. “I began practicing yoga several years ago to help heal some serious back problems and muscle imbalances. Through the practice of yoga my back healed and my body became stronger, more flexible, and less prone to reinjury – my blood pressure even improved. I began thinking about enrolling in a Yoga Teacher Training program to help me deepen my yoga practice and achieve better alignment in my yoga postures. While the idea of Yoga Teacher Training was great, many of the programs I compared were unrealistic for someone with hectic family and work commitments. I also found many of the programs to be esoteric and not the right fit for what I was looking for in a program. Then I discovered Ursula Cox’s, Inner Power Yoga Teacher Training program. Ursula’s program has a very doable format, with classes held on weekends over 6 months. We even had a nice break over the holidays! Ursula brings her international experience and mastery of the art and science of yoga to her students in way that makes the learning challenging and fun at the same time. Her leadership, commitment, and compassion really set the tone for the Teacher Training program and helped each of us grow based on our own unique talents and goals. Besides the foundational Power Yoga aspects of the program, the Inner Power Yoga program explored several other styles of yoga taught by world-class teachers in Ashtanga, Dharma Yoga, Flow, and Ki Power Yoga. Through this experience we learned how to find things in each of these styles of yoga that help to support our personal practice and teaching goals. But what I learned over those 6 months was much greater than how to build strength and flexibility through the various yoga styles. I learned how to take care of my health, how to be a better father and partner, how to be more focused at work and how to let go of the mask that I wore for so long – I learned that I could become the best me that I could be. When I began Ursula’s Inner Power Yoga Teacher Training program, I was only looking to work on my physical practice. But along the way, something changed in me and I realized that what I was learning had to be shared with others. While my journey into becoming is just beginning, I am now able to share this journey with others through my teaching and everyday experiences. Thank you Ursula and the Inner Power Yoga family! 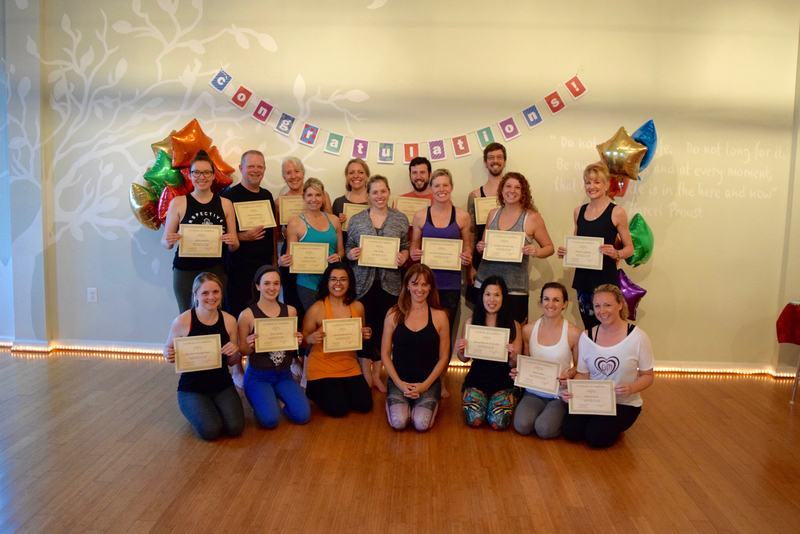 “The Teacher Training program at Inner Power Yoga has been one of the most enlightening journeys of my life to date, and I feel so grateful to have been a part of it. The program that Ursula put together fully encompassed the physical, mental, philosophical, anatomical, and other aspects of yoga practice. The course was enriched by various intensives taught by celebrated teachers from the area and beyond. Ursula patiently guided us through ancient Sanskrit texts and very modern concepts of what it means to teach yoga for a living. What she gave us was the knowledge and encouragement needed to teach with skill, compassion and integrity, while finding our own voices as teachers. Inner Power Yoga Teacher Training taught me so much more than just how to teach yoga: it taught me how to live my yoga. “One of the best decisions I have ever made was to join IPY’s 200 hr TT program. I have experienced a variety of yoga practices in the past, such as hatha, dharma, ashtanga, but have always been hesitant to do teacher training. Ursula gave me the motivation to take my yoga practice to the next level. Joining the teacher training at IPY transformed my life forever. The training was very systematic and gave insight into different aspects of yoga, the science and the philosophy behind it. The study of the yoga sutras connected me to many things in life, the study of Ayurveda attached me back to my inherited knowledge. Teacher training deepened my own personal yoga practice, and gave me the confidence to share my knowledge with others. I have grown into a more confident and focused person, and have started listening to my inner voice more. “I applied to the IPY yoga teacher training program to learn more about yoga, to improve my personal practice, and to learn how to teach yoga. The 6 months of teacher training provided me all of those things and so much more. The friendship and support I received during the training and even now after graduation are precious gifts of the program. The learning wasn’t limited to the books or lecture, although both were enlightening. The knowledge and experiences shared by the teachers as well as all of the trainees was invaluable. Yoga is a personal practice and each of us contributed a unique piece of ourselves that formed a beautiful group practice. “Teacher training with Ursula at IPY was wonderful! I thoroughly enjoyed every moment. From the history, purpose and benefits of yoga to the detail of poses to rigors of anatomy, the training was thorough and well planned. Teaching practice began early and continued to the last day, giving us opportunities to learn and grow into the teacher’s seat. Ursula has a gift not only for yoga, but in identifying those with a passion for it and putting together groups of people who are like hearted. She asks students not only to learn, but be open to sharing and exploring themselves. Ursula and her guest teachers exemplified this in willingness to share their yoga journey, their knowledge and a bit of themselves. This created an open, warm, supportive and caring environment to come home to each class. Over the six months, I made many great friends and learned my yoga. As well, I started a new journey in self-exploration and learning. Yoga teacher training allowed me to think deeply and connect with many aspects of myself I thought had been lost. Whether or not you decide to teach yoga, this teacher training is a wonderful exploration and journey into yoga and your heart. 5 Stars! “I am blessed and grateful to have been a part of the Yoga Teacher training program at Inner Power Yoga! I had been practicing under Ursula’s nurturing and challenging instruction for several years, and knew that I wanted to train to become a teacher under her tutelage. The training program was excellent from start to finish! Taking the IPY Teacher Training program dramatically and positively impacted my life. It was a life altering experience where I grew in my knowledge of yoga history, anatomy and of course, asanas. Two of my favorite aspects of the training were the teacher intensives from visiting teachers, and the frequent practice teaching opportunities.